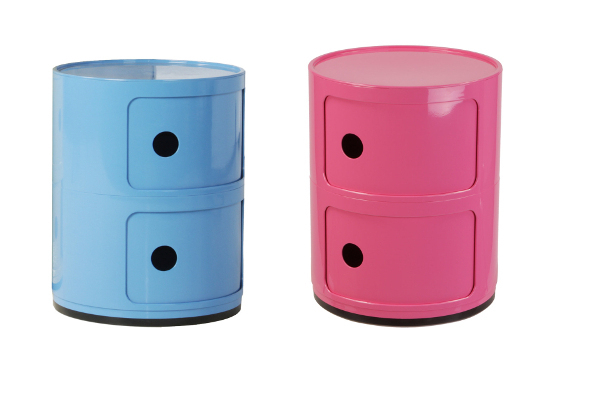 Want funky, retro-styled bedside storage for your kid’s room with a rainbow of colour choices? We’ve found it. I have to confess that bedside storage for kids is not something I’d really put all that much thought into, until both my older daughters started hoarding ‘treasures’ under their pillows. Books, craft projects, trinkets and toys, there is seemingly no end to the things they ‘need’ to help them go to sleep. But even without mini-hoarders in your family, bedside storage for kids makes perfect sense: a place to put the books being read, the bedside light and the drink bottle. The Replica Anna Castelli Ferrieri Componibili Round 2 by Matt Blatt is perfect for kids’ bedrooms (and stylish enough with those clean lines and smooth surface, to be placed anywhere else in your house too). The Matt Blatt replica, made from ABS hard plastic, is true to the original design, which currently resides in New York’s Museum of Modern Art! The Replica Componibili 2 has two storage compartments to hide all those ‘treasures’ out of site and comes in ten different colours to compliment any decor. Matt Blatt also sell a three-door and a five-door version of this mid-century classic should you want toy storage to match. The Componibili 2 Round is available from Matt Blatt for $90. 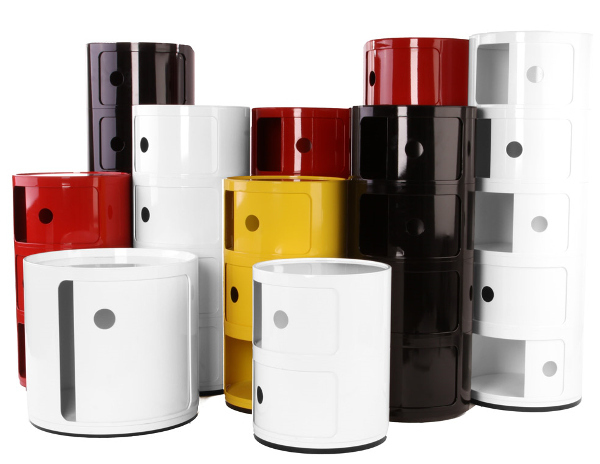 For other mid-century storage designs, check out the Boby unit.